B.Sc Electrical/Electronics/Telecommunication Engineering, duly registered with Pakistan Engineering Council (PEC), having at least 8 years experience in Signalling Engineering works, design and maintenance experience, ability to read and counter check the interlocking yard diagrams etc and preparation of Estimates, Tender documents, and completion reports/plans. 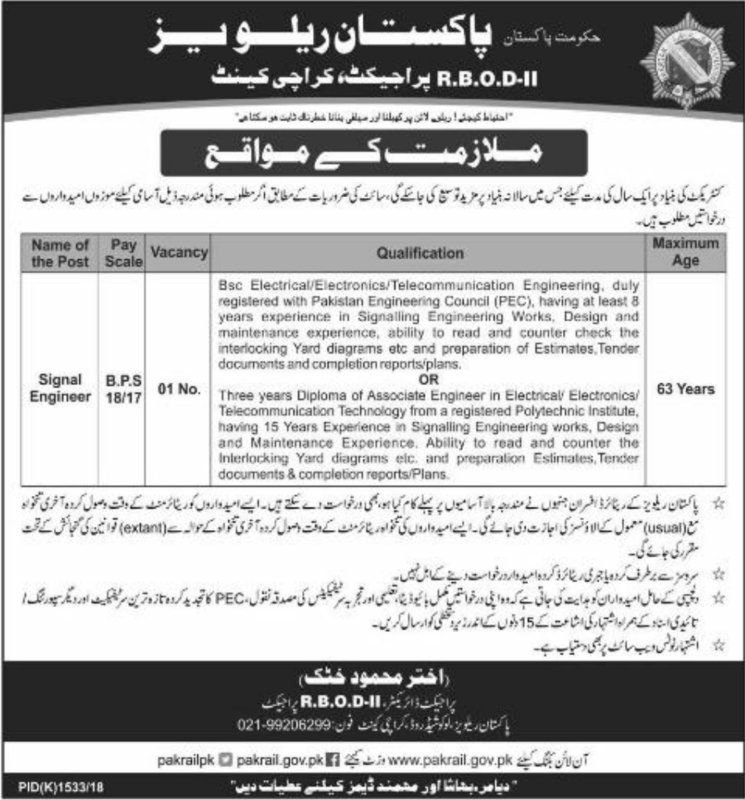 Three years Diploma of Associate Engineer in Electrical/Electronics/Telecommunication Technology from a registered Polytechnic Institute, having 15 years experience in Signalling Engineering. Work design and maintenance experience. Ability to read and counter the Interlocking Yard diagram etc and prepare Estimates, Tender documents, and completion reports/plans.